Registration, with full payment, is due by April 8, 2019. This flyer will give you more information to start planning on attending this years JLDA. There will many camps offered so your boys can select the one best for them. From June 13-18, The Canoeing Action Camp (CAC) will be offered. Download the Summer JLDA flyer today and start talking to 2your boys and parents about attending these camp. The West Region is holding a Ranger Derby on September 28th. This years theme is "To Be Or Not to Be Transformed, Romans 12:2"
If you live in the area, we would love for you to attend. It will be held at Godley Community Center. For additionanl questions, please contact Jason Laird. For those who pledged at Pow Wow to help start one or more outposts in Kenya, here is the form you can use when sending in payments for your pledge. Use of this form will make sure that your contributions are credited to this project. 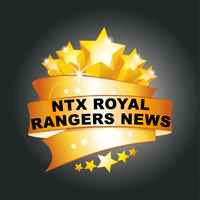 North Texas Royal Rangers keeps you updated on current news and event information with a regular email newsletter. All upcoming events are covered. If you need information or have articles to share needs, please contact David Trower, District Communications Coordinator. He will get back with you ASAP answering your needs. We would like to encourage commanders around North Texas to pray at 9:00 p.m. each Thursday for the Royal Rangers Ministry in North Texas. Please join the district staff as they pray every Thursday as they shower heaven with praises and thanksgiving for all the Lord has given us charge over. After this, lets thank Him for our leaders in this great District and the boys he has given us to train. Lets petition the Lord for more leaders and boys to help us further His great Work! Lets pray for our camp and all things needed to help in our journey towards greatness in this wonderful ministry! Again, lets thank the Lord for all He has given us charge over and being our Champion, Savior, Provider, healer, and Friend! Please join others leaders at 9 p.m. Thursdays and Pray.